With the cheap and convenient ability of portable devices, our lives are now very much dependent on them. That is where you are going to need a pen drive recovery software just in case anything bad were to happen. 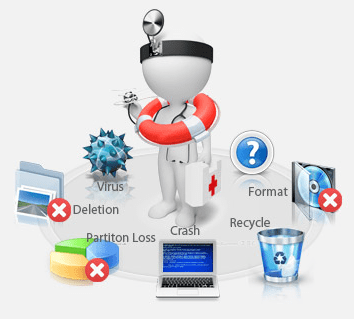 This is where EaseUS Data Recovery Wizard Free can greatly help you as is it very convenient to use as pen drive recovery software but also as a ssd data recovery solution. The best part is that it is free of charge and you don’t have to be a technical person to be able to make full use of all its features and functions. In just 3 simple steps, you can start using the pen drive recovery software and everything should be back to normal in just a few minutes. So how easy it is really? Let’s find out. Step 1 is for you to download and install the application on your computer. Once you have launched the application, you can then select the type of files that you are looking for as well as the location. So if you are looking to perform a ssd data recovery, you should plug in your ssd and the application should be able to recognize it. Proceed to select the ssd and then the file types. There are six options available, either Graphics, Audio, Document, Video, Email and Others. Try to be as specific as possible so you will get a more refined search in the shortest possible time. Step 2 is for the actual scanning process to take place. You will see a display which shows you the progress of the scan in terms of percentage and the estimated time remaining. You can also stop and resume the scan at a later date. The pen drive recovery software has two scan modes available. With the Quick Scan, this would scan for files that was either deleted or cleaned from the recycle bin. The other is Deep Scan which would check thoroughly for files that you can’t find from the Quick Scan and for recovered files that cannot be correctly open. Step 3 is for previewing and recovering the files. If you did the ssd data recovery and found all the recoverable files, you can then filter the path, file type and created time. This means that you can now easily find the files that you are looking for as there is also a preview pane available on the right. So for example, the file that you’re looking for is an image file; you should be able to see a thumbnail of the image. That would make your decision on which files to recover so much easier. This is the post that I have found as the perfect guide, after reading it thoroughly. The post contains all the steps along with the clear description, that need to be followed to use this software.